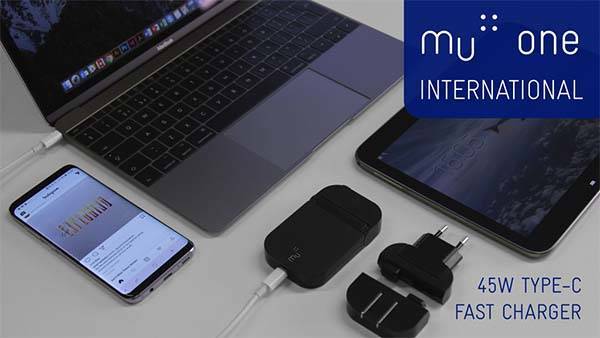 Using three interchangeable plugs Mu One compact universal USB-C charger charges your mobile devices wherever you’re, and it supports up to 45W output. Like the idea? Let’s have a look. The Mu One is a powerful and versatile international USB-C travel charger that measures only 14mm thin. As we can see from the images, the charger shows off an ultra compact and slim form factor. Using a unique and patented fold-flat design, you can effortlessly slide it into your front pocket for easy carrying. As a universal USB-C charger, the Mu One features an interchangeable head system plus three detachable plugs in order to work well in any country around the world. Furthermore, Mu One comes equipped with Gallium Nitride Technology (GaN) that ensures very high-power in a small space, so it provides up to 45W output in order to charge USB-C MacBooks and other laptops with USB-C, and built-in Power Delivery technology delivers a fast charge for various mobile devices. Moreover, an integrated auto-detect chip automatically identifies connected device and provide the perfect charge based on different device. The team behind Mu One is raising fund for the product via Kickstarter. 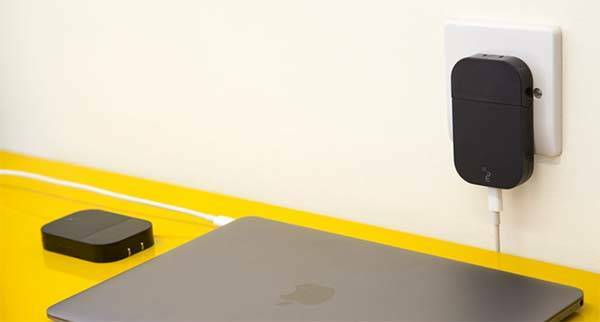 We can pledge £39 (approx US$54) to preorder the universal USB-C charger. It will be shipped in September 2018.